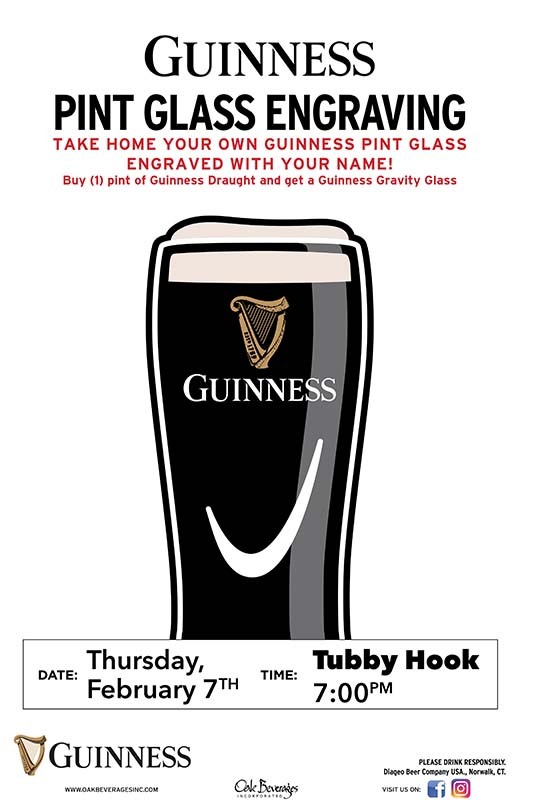 Tubby Hook Guinness Glass Engraving - Oak Beverages Inc.
Tubby Hook Guinness Glass Engraving, Thursday, February 7th, 7pm – 9pm. Tubby Hook Tavern Inwood New York. We’re not trying to re-invent the wheel, just hoping to keep it rolling. 4946 Broadway has been the home to neighborhood taverns for over 70 years and our main goal is to continue that tradition. We look forward to meeting the great people of Inwood, and keeping you well served for the next 70 years ! Posted in Drink Special, Featured Promo, Glass Engraving.